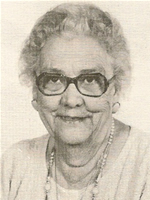 For most of her life Ruby Warlick, was an active member of the Disabled American Veterans Auxiliary, and she wanted her granddaughter to carry on this important service work. It seemed that every time 'Mama Ruby' saw young Renée, the DAV Auxiliary became the main topic of conversation. After years enduring Mama Ruby's pestering, R. Renée Jones finally gave her grandmother $10 for membership dues in hopes that the discussion would never come up again. A few years later, while Renée was in college, she decided to give the DAV Auxiliary a try. Well, wouldn't you just know it? Mama Ruby knew best. Renée was truly inspired by the organization and took great joy in showing her gratitude and support to the men and women who have served in our nation's military. But, while she enjoyed attending meetings and participating in her unit's activities, Renée vowed that she would never hold office. Never say 'never': Less than a decade later, Renée had not only served as an officer for local, state and national positions; she was elected National Commander of the DAV Auxiliary, the youngest person ever to serve in the role. 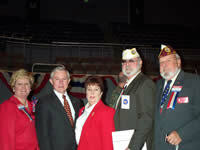 Although a volunteer position, National Commander is the highest office in this quarter-million member organization, requiring an extensive time and travel commitment. Renée wisely negotiated a written contract with her employer that would allow her as much time off as needed to fulfill her duties. She made her first vacation request for Veterans' Day, clearly the most important day of the year for the DAV Auxiliary. Much to her surprise, her employer refused to honor the request. When discussions with her employer led nowhere, Renée knew exactly what she needed to do. She resigned from her company and traveled to Birmingham, Alabama for her official visit as National Commander at the 54th Annual National Veterans Day Ceremony. Renée returned home on November 12, 2001, with no job, no savings and a full year of travel commitments. If ever there was a time to start her own business, this was it. 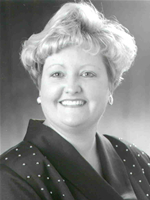 Renée had always loved the advertising and promotional aspects of her prior career, so establishing her own promotional products company was a natural fit. Her first client was a DAV Auxiliary unit in Tennessee who ordered imprinted pens. 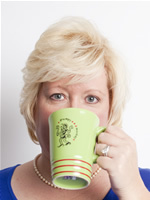 Today, Renée's company continues to grow and specializes in the healthcare industry as well as the non-profit sector. Although A Creative Touch, Incorporated is based in Wilmington, NC, the company serves clients throughout the country, sourcing and designing customized promotional items from a product line with more than 850,000 different items. Her years of service with the DAV Auxiliary give Renée a specialized understanding of the needs and structures of non-profit organizations. "I've partnered with our clients to design everything from luggage tags and lapel pins to bobble heads!" says Renée. She continues: "Every client and every promotion is unique; I pride myself in bringing a personalized, creative touch to each request my clients make." As for the DAV Auxiliary, Renée's involvement continues in more ways than one. Her momentous year as National Commander and new business owner resulted in another major life change—marriage. 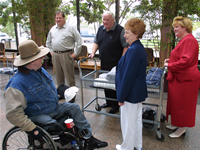 During a DAV Auxiliary-related trip to Las Cruces, New Mexico, Renée met Robert, a US Navy Vietnam veteran. 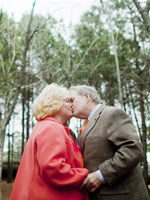 After a two-year long-distance courtship, the couple wed on New Year's Eve 2004, and immediately relocated to Wilmington, NC. Both Renée and Robert remain active volunteer members of the Disabled American Veterans and Auxiliary and support the National Disabled Veterans Winter Sports Clinic. Tight deadlines? Shipping fragile merchandise? No matter what the challenge, A Creative Touch, Incorporated always rises to the occasion. That's why we plan on being customers for life!